Longtime residents will remember when Pointe Orlando first opened back in 1997. It was quite an asset to I-Drive and now it’s even bigger and better! You and your partner will find endless ways to enjoy a night out on the Point. Start your Pointe Orlando date with Happy Hour! Listen to live music, share a $5 plate such as Duck Confit Grilled Cheese, Fries Avocado Stuffed with Crab Meat, and Portobello fries, and enjoy a glass of whiskey at Itta Bena. Try something different and make your date shout “Opa” at Taverna Opa with 2-for-1 drinks, cheap appetizers, and half price cocktail pitchers.Sing your praises and forget about your blues with $4 beer and wine and half off appetizers at BB Kings Blues Club. Sip discount drinks and share plates at Copper Canyon Grill. Heat up and add a little spice to your night at Cuba Libre with sangria, mojitos and bar bites! No matter your palette, there’s a happy hour at Pointe Orlando to satisfy any craving! 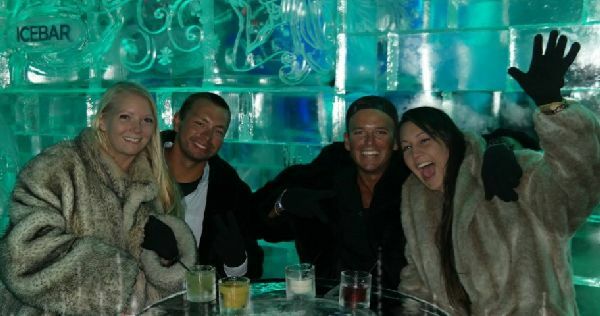 There are two ice bars on International Drive Orlando, and ICEBAR – both of which will heat up any date. Grab a coat and be prepared to feel the chill. Both establishments are equipped with a full bar to help heat you up and a warming room! Your date won’t know if the tingle they’re feeling is from their love for you or their toes thawing out. When the tourists are away, the locals come to play at City Walk! 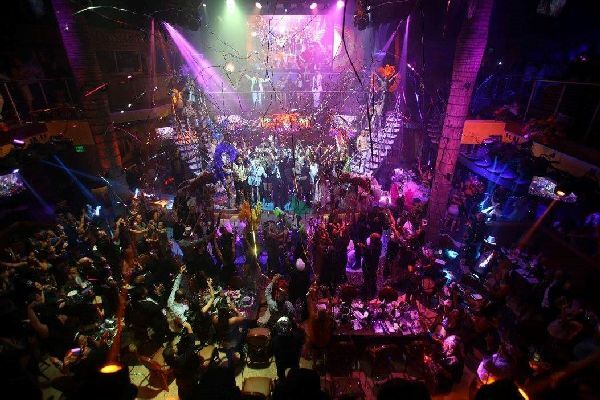 Open until 2 am every night, you can sing like a Rockstar at City Walk’s Rising Star, sway to calming and rhythmic beats at Jimmy Buffet’s Margaritaville, be transported to Bourbon Street at Pat O’Brien’s, or dance the night away with endless music and lights at the groove’s multi-level dance club! 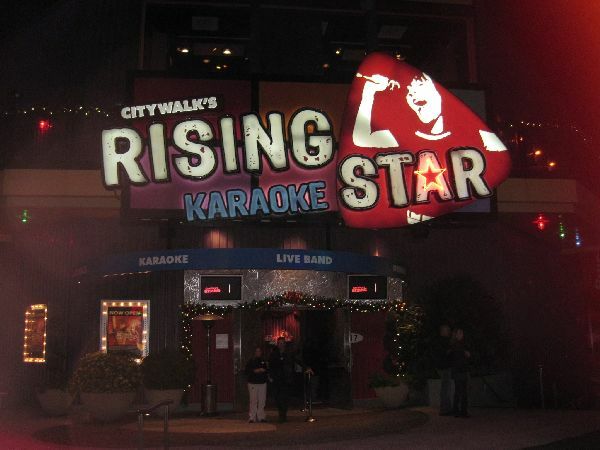 You and your date will both feel like a VIP at CityWalk! 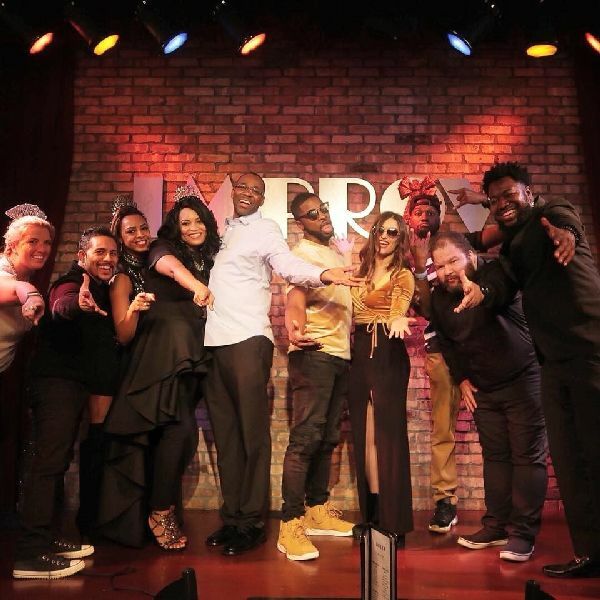 Laughter makes the heart grow fonder so take your date out for a night on the town at Orlando Improv! Comedians from all walks of life hit the stage – regardless of who you see you’re going to have a great time laughing! Oh, and they have food too so come hungry! Mini-golf may remind you of high school dates, but there’s nothing wrong with a little nostalgia! We have tons of great courses that will transport you across the world and universe. 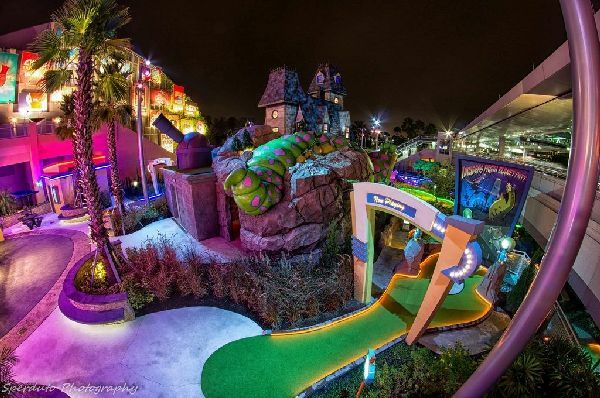 Try Gator Golf, Hollywood Drive-In Golf, Lost Caverns Adventure Golf, Pirate’s Cove Adventure Golf, Volcano Island Mini Golf, and/or Congo River Golf. With so many restaurants, you can’t go wrong with a classic dinner on I-Drive! What are you craving? We have it here! 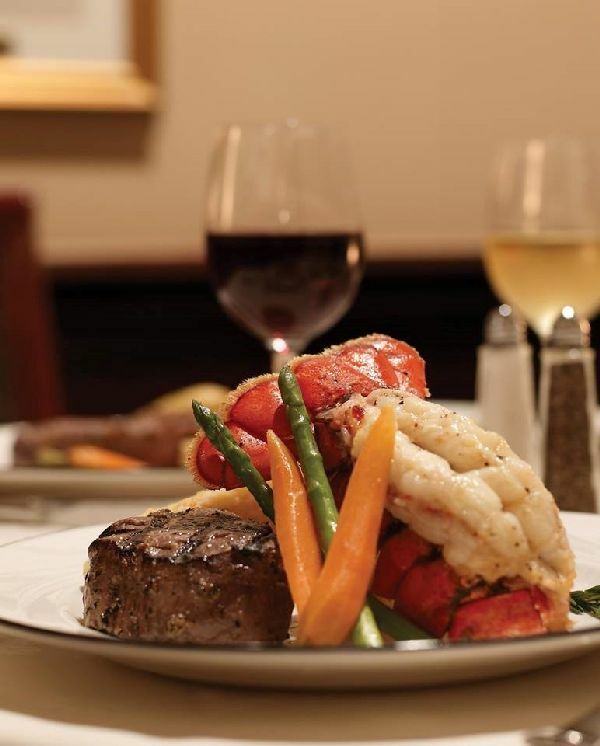 For a romantic night out, we recommend Jack’s Place at Rosen Plaza Hotel, The Capital Grille, Maggiano’s Little Italy, Charley’s Steak House, Emeril’s Orlando, Fogo de Chao, and Delmonico’s Italian Steakhouse. Dined at all of these already? See our full list of I-Drive restaurants here. There’s nothing quite like a date at I-Drive 360, Home of the Coca-Cola Orlando Eye! Not only does this outdoor mall offer free parking (YES! 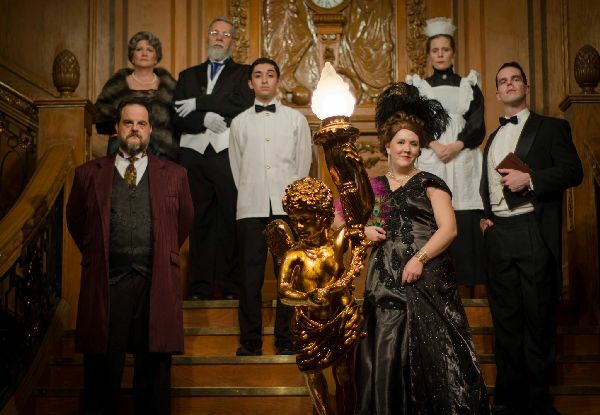 ), you’ll find all sorts of fun things to do without hitting the main attractions. Sip beer and listen to live music at Tin Roof Orlando, have a kickin’ good time at Cowgirls, and enjoy delicious eats at Sofra, Yard House, and Uncle Julios! 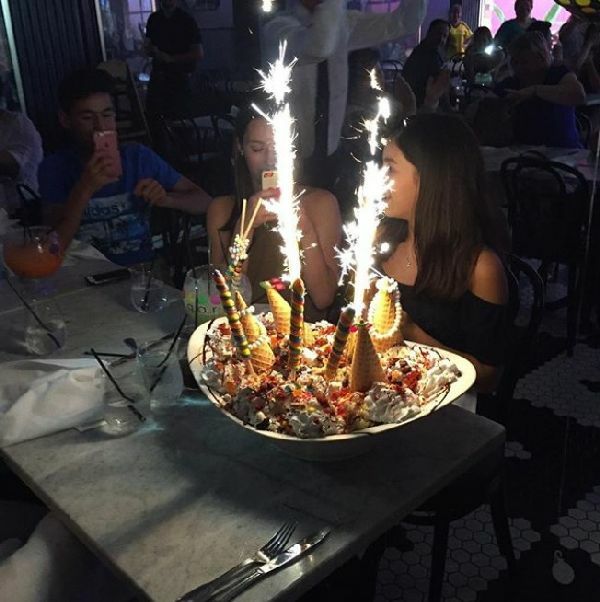 If you want to make date night even sweeter, stop by Sugar Factory for a goblet, monster shake, or another sweet treat. If you’re feeling extraordinarily festive, hunker down for the King Kong Sundae and spend the night eating ice cream and sharing stories! We are constantly adding new events to the I-Drive Event Calendar. 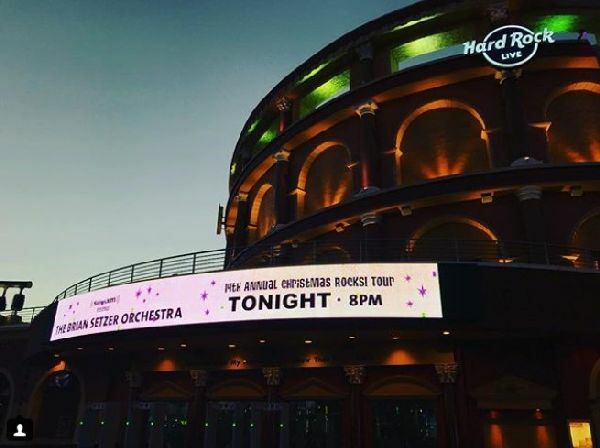 From new shows at Hard Rock Live to Ladies Night, you can always find something fun to do on I-Drive! Just bookmark our Events section and let us design your date night! We promise, your date will never know!